← Hollywood Liberals, Would You Please Shut Up! Doug Wilson casts himself as a man standing on the authority of scripture, battling mightily against wrong-headed bible teachers who have wandered to the right and to the left. Wilson is a verbally-gifted writer and has demonstrated a willingness to pen controversial material, often challenging the dominant socio-political narratives of Neo-Calvinists and conservative Evangelicals. In a landscape filled with pastors lacking in backbone, Wilson often writes with verve. Nevertheless, when discussing ethnicity and race Wilson frequently misrepresents his opponents, relies upon logical fallacies, and peddles Gnostic arguments. It is a curious form of triangulation that could be termed Clintonian. Wilson propounds a series of half-truths and outright fallacies. He believes that race is a social construct. He believes that God’s judgment at Babel alone dispersed mankind and has been reversed by the blessing of Pentecost in Acts 2. He believes that Israel and the Gentiles were once separated but now Gentiles have been adopted into the covenant, erasing and dissolving race and nation. “White and black cannot get along because their blood is red in common, but they can get along because Christ’s blood was red and uncommon, and was shed for the express purpose of making one new man out of the two, and in addition to make one new man out of the seventy. God is building a new humanity in Christ, and there is no new humanity outside of Him,” writes Wilson. But this is rhetorical sleight of hand. Wilson is applying to race and nation passages that are intended for the covenant community. Paul is clear in his letter to the church at Rome that Israel is not saved by her DNA. Far from boasting in lineage, Israel can only be saved through repentance and faith in Christ, just as the Gentiles. “For there is no distinction between Jew and Greek, for the same Lord over all is rich to all who call upon Him” (Romans 10:12), writes the apostle. While there is no covenantal distinction between Israelites and Gentiles that does not imply that the differences between them cease to exist. Would Wilson argue that family ceases to exist as a result of faith? May it never be. But nations are mere extensions of families and kinship groups and surely do not cease to exist as discrete entities with powers, purposes, destinies and a right to protect themselves and their posterity. Wilson’s argument here devolves to a form of Gnosticism. Why does this matter? Cultures are created when religion is poured over a people. Therefore, part of the attempt to delegitimize any faith system is by undermining it through the debasement and subversion of its culture. The Cultural Marxist attack on Christianity launched in the 20th Century was an attack on distinctions that have been shaped by Christian culture. Cultural Marxism attacks the church by subverting other forms of attachment and institutions that make legitimate claims on our devotion and wield countervailing cultural power. Attachments—familial, ethnic, racial, national, denominational, etc.–have been systematically undermined in our age as a means of creating a (John) Lennonesque utopia. Radicals have been given aid and comfort by the church, particularly liberal denominations but increasingly in recent decades by “conservatives” as well, who are serving unwittingly as handmaidens and midwives of revolution. The offensive against the church and Christendom is an attack on God-ordained differences and distinctions in the name of egalitarianism. That assault is not always aimed directly at the church but focuses instead on the institutions, mores, traditions, and PEOPLES that have carried the faith to the four corners of the earth. Because the Christian worldview is total egalitarianism and revolution in one sphere of life migrates to other areas. When Wilson grabs verses regarding God’s promises to his covenant people and applies them to races and nations, undermining and destroying God ordained boundaries (Acts 17:26), he unwittingly serves as an agent of cultural revolution and destruction. The same people engineering the assault on nations and national identity are also crusading on behalf of abortion, gay marriage and transgenderism in the name of equality. The elimination of God-ordained distinctions is rooted in rebellion against God’s order and grounded upon envy. Egalitarianism denies the very principle of order and attempts to arrange creation on its own terms. Equality thus becomes a philosophical and religious faith that demands the fidelity of every individual and institution. In this way, when Wilson and other Christian leaders work to undermine biblical nationalism they lay a foundation for the spread of egalitarianism and pave the way for a “new man”–only it’s a Marxist New Man rather than a Christian version. This entry was posted in Cultural Marxism, Immigration, Race Relations, Theology, Uncategorized and tagged Immigration, Race. Bookmark the permalink. Excellent article; saving to hard drive for future reference. Thank you, Mr. Shivers. That is gratifying coming from a man such as you. Wilson clearly believes that race is real and there are differences between races. What he rejects is using said differences to justify malice or sinful pride. Overgeneralization. The question that needs to be asked is: With respect to *what* are distinctions between race and nation dissolved? The *what* is salvation in Christ, and membership in the catholic Church. In other respects, the distinctions between race and nation have not been dissolved. This is clear enough in Doug’s writing. Doug has written about the positive virtues of patriotism and love for America, though he is admittedly a critic of American exceptionalism. Doug has also written about the Jews as a people group and about Israel as a particular nation. Any reasonable reader can conclude that Doug believes that distinctions between races, nations and people groups continue to exist downstream of the New Covenant. You’re assuming an idiosyncratic definition of “nation” that does not exist widely today. You’re also equivocating between “race” and “nation.” If we define race as genetically similar folk sharing common ancestors (a patrimony), then every nation on Earth today is multi-racial. A lot of this is a result of ancient conquests of one people by another, which in turn led to genetic mixing and sorting. While race is real, the races are scattered in the midst of many different nations. If you make race equivalent to nation, and assert that race-nations have “powers, purposes, destinies and a right to protect themselves and their posterity,” you are actually advocating the overthrow of the existing social order and replacing it with a race-based social order. That sounds revolutionary, even Marxist, to me. More than that, asserting that, say, Anglo-Saxons (who are themselves an amalgamation of genetic lines, but nevermind), by virtue of their genetic lineage are a separate nation and people group with the right to their own country, independent of their current citizenship and settlement patterns worldwide, you are describing a nation that has no concrete form at present. This “nation” is entirely artificial, invented in your own mind. The United States, Canada, the U.K. and Australia contain Anglo-Saxon people but not exclusively so. The United States, Canada, the U.K. and Australia are, however, presently existing, concrete nations with borders, a common language, a distinctive culture, militaries, governments and heads of state. These nations really exist in the real world. By positing an artificial nation against actually existing nations, you are engaging in Gnostic fantasy. While we’re on the subject, do you support the right of Jews to their own distinctive nation and homeland? Do you approve of Donald Trump’s enthusiastic support of Israel and her right to exist? How about his ambassador, David Friedman? Just asking. Much of what you write in the final two paragraphs I agree with. Egalitarianism is a cancer. However, I would extend your critique of anti-nationalist ideologues to men like Pat Buchanan and Ron Paul, who deny the right of the United States to respond to Islamic aggression abroad, instead insisting that we should strive to appease Islamic anger at the United States through withdrawal and surrender. Likewise, I would extend your anti-nationalist critique to various figures on the paleo right who deny Israel’s right to exist as a nation, and likewise America, by siding with her enemies in the present, and even in the past (e.g. Hitler). You’re assuming an idiosyncratic definition of ‘nation’”. I’m assuming a biblical and historic definition of nation. He begins with race (“black and white”), then moves to a religious divide (“one new man out of the two”) and concludes by discussing nations (“one new man” has been created out of seventy—which I assume to mean the nations of Genesis 10). I am speaking primarily of “nations” in my pieces, not racial groups, though there is obviously some overlap. Second, you begin by quoting Wilson from 2005. One of my problems with Wilson is that he constantly obfuscates. Compare your quote from 2005 with the quote I posted from 2014. There DW clearly says that “one man” is created from seventy. Implicit is the notion that nations are subsumed in this new identity. To some extent that is true. The church is multi-ethnic, multi-national, multi-racial, etc. But nations still have a role to play. That Wilson denies this can be seen in his position about immigration. As for your question regarding Israel, I find it odd that Doug supports a Jewish ethno-state but will lambaste anyone to his right that would suggest such a thing. I personally have no problem with a Jewish state, though the historical circumstances of the creation of Israel are problematic at best. Moreover, I tire of the Jewish diaspora—and their Christian apologists—who agitate for a Jewish ethno-state and then do everything in their power to diminish the historic nations of Christendom. As per your comments about Buchanan (particularly) and Paul (to a lesser extent), you are simply wrong. Pat understands the incompatibility of Islam with Christian civilization. But he believes that defeating Islam means separating ourselves from Mecca, not enmeshing ourselves in their internal civilizational civil wars. I would also suggest that you consider the work of Robert Pape on the strategic logic of suicide terrorism. One point of agreement. I concur that those who elevate race can and do create a mechanism that flattens and all other forms of identity and attachment. As rule you are correct that “nations” are seldom pure. But there is typically a dominant ethnic core that largely creates, sustains, and defines the culture. Thanks for your thorough replies. I’m going to use your comments as a jumping board to a broader discussion on race. I’m going to start with one of your replies, then ask myself a question I think you would ask. Then I will attempt to thoroughly answer your question, an important question that I’m certain is lurking behind many of your other comments. I agree. That is certainly true of most nations in existence today. It is also true of the United States, but to a less dramatic extent, and that’s because America is very young country by comparison, and many different people groups have inhabited different parts of the country over the centuries. But American culture is distinctive–it is Protestant and it is English speaking. That was inherited from the mostly British men who founded America. Take those away and America as we know her disappears. I think that race qua race is of limited value in thinking about the differences between people groups. Sam Francis famously said that Western civilization was impossible apart from “the genetic endowments of the creating people.” I call this view genetic determinism. I am not a genetic determinist. Thus, my answer to your question about limiting immigration to preserve a particular ethnic core of America would be, “Immigration should be limited for the pragmatic reason that large displacements of people create social, political and economic chaos for the natives of any nation and should be avoided.” In the short term, that would practically mean that the “native ethnic core” of America (which includes blacks) would be preserved. But long term, it could be upset by the differential in birth rates between the native population and immigrants (the limited number of legally admitted immigrants). If American natives value money and education more than the blessing of children, that isn’t the fault of God-fearing immigrants who do value the blessing of children. If white people in America and Europe decide to contracept and abort themselves into oblivion, that is the proper judgment of God. God is capable of causing rocks to praise Him. He is equally capable of raising up His Church out of a presently backward black and brown people group to shame white Westerners for their faithlessness. Western, Christian, Protestant, English speaking civilization is better than other civilizations. But it is better for a reason. Western, Christian, Protestant, English speaking people happen to be white. Western, Christian, Protestant, English speaking people are great not because they are white but because they have been blessed by God. God’s blessings, the blessings of the Gospel and true religion, are individual and also corporate. God blesses whole nations for turning to Him. It’s fair to say that Western, Christian, Protestant, English speaking nations today are not being faithful to God and haven’t been faithful for a long time. Just as the blessing of our civilization was not racial (We’re great because we’re White! ), so likewise the apostasy of that civilization is not racial. Suppose I advised someone, “Don’t let your daugther marry a white guy. Before long she’ll believe in gay marriage, she’ll become an atheist and she’ll spend more money than she earns.” If I somehow said that the various pathologies of Western nations today were primarily genetically caused (It’s because of all those dern White People! ), you’d think I was a lunatic, right? The whiteness of the Supreme Court justices who legalized abortion and gay marriage was incidental to their rebellion, not the cause of their rebellion. Well, if we’re not going to claim race as a cause for rebellion against God, we can’t claim it as a reason for faith in God, either. It’s a two way street. If you play the genetic determinist card when speaking of the greatness of Western civilization, and then Western civilization decays and falls into sexual anarchy and financial insolvency, you can’t turn around and say, “Culture did it!” He who says A must say B. You have to consistently apply your standard. When you think of the consistently applied standard and apply a reductio ad absurdum to it as I just did, the case for racialism or genetic determinism is decisively refuted. 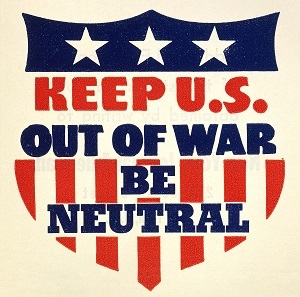 Auster extensively documented the anti-Americanism of much of the antiwar paleo right. His conclusion was that the paleo right, men like Buchanan and Thomas Fleming and others, were motivated more by hatred of their neocon enemies than love for America. They were a negative, reactionary movement doomed to irrelevance. I think Auster’s analysis was substantially correct. Keep in mind that Auster knew many of the men on the paleo right quite well. Auster was also a careful thinker and skilled debater. I think the accuracy of his case speaks for itself. Let the reader decide. I’m sure folks that stumble through here will know Pat and perhaps Auster, too. Auster was in many ways brilliant. He was also something of a quack–a loner incapable of playing nice with others. He was a racialist to boot and would have agreed with your quotation from Sam Francis. The killing of our unborn children, effectively sacrificing them on the altar to Molech, and their replacement by foreigners is part and parcel of the covenant curses imposed upon a faithless and disobedient people. The impending death of the West has many factors, the chief of which is unbelief and abandonment of the faith. Further, the primary race and ethnicity that is responsible for the death of the West are the descendants of white Europeans. The “white man” has torn down his own house by abandoning the Christian faith oh his fathers. However, having admitted that doesn’t explain the “how” in which that has happened or the accelerating factors of the last five or more decades. In order to understand those accelerating factors I believe that we should consider how traditional and biblical boundaries have been breached and the ideological tools that have been used to undermine the foundation. With regard to Israel, not all Paleos are hostile to Israel or the existence of a Jewish state. Auster, Paul Gottfried, and Ilana Mercer were/are all pro-Israel. And they all share something else in common.